You are here: Home / Our School / Latest News & Information / Headline List / Order your yearbook! This year’s access code is HRMYBK19. 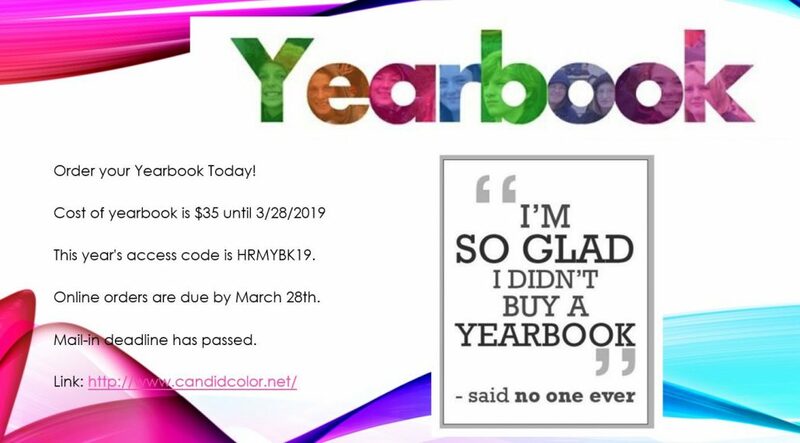 Online orders are due by March 28th. https://wjccschools.org/hms/wp-content/uploads/sites/6/2019/01/Yearbook.jpg 778 1406 Jessica Ellison https://wjccschools.org/hms/wp-content/uploads/sites/6/2014/05/logo.png Jessica Ellison2019-03-07 16:48:182019-04-06 19:08:11Order your yearbook!